Every salon needs shampoo sinks. In fact, it is one of the investments of the owner that is most often used. Think about it, you always have your hair washed before having it trimmed. Naturally, it is needed if a client wants her hair colored or treated. Whatever it is that a client wants done with her hair, it normally involves the need to have it washed before or after. That is the reason why owners really have to invest on a shampoo sink. One thing that you must realize as a salon owner is that shampoo sinks may serve the same purpose but they never have the same quality. Even the style differs. Some require the client to be in a sitting position while others require them to lie down like they are in bed. 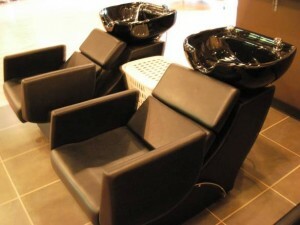 As you can imagine, the way the sink is made greatly affects the comfort of the client while having her hair washed. The contour of the area where the neck is placed must be smooth, otherwise, it would strain the neck of the client and believe it or not, those little things affect customer satisfaction. So if you are looking into upgrading the shampoo sinks in your salon or you are new in the business and you are about to invest on one, think of getting the most comfortable shampoo sink – one that will not strain the neck of your client. If you can adjust the height of the sink to match that of your client’s that is even better. Remember, going to a salon must be a relaxing experience. The last thing that you want is a client complaining about a strained neck. When it comes to the service industries, the little things count.